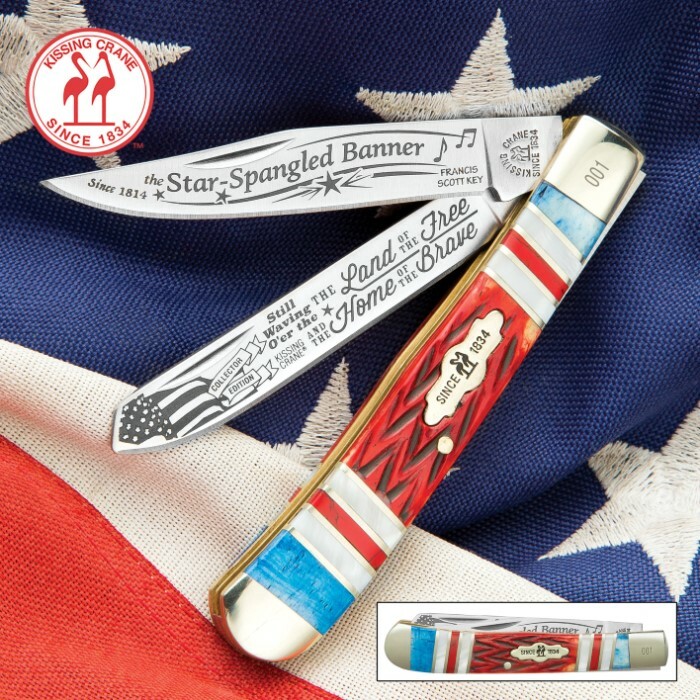 Kissing Crane Star Spangled Banner Trapper Pocket Knife | BUDK.com - Knives & Swords At The Lowest Prices! “O Say Can You See” how awesome our hand-crafted Star Spangled Banner Trapper Pocket Knife from Kissing Crane looks? It’s our celebration of the American Flag and the anthem which pays tribute to it. 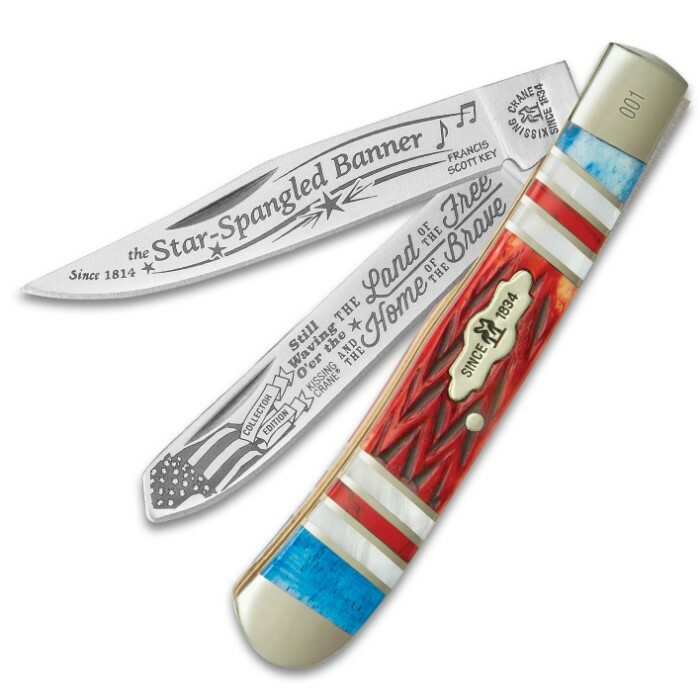 It has stainless steel blades that are etched with patriotic tributes including, “Land of the Free and the Home of the Brave.” The patriotic theme is carried through the red, white and blue genuine bone and pearl handle. 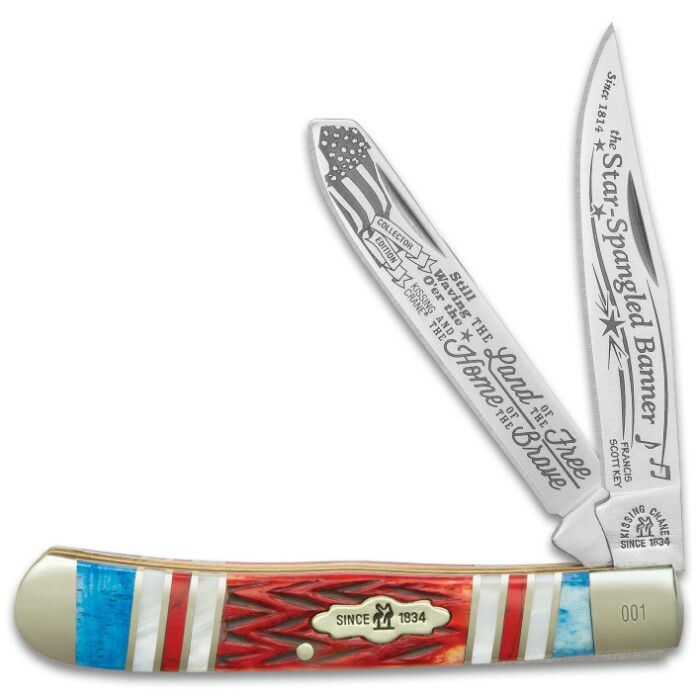 The bolsters are of nickel silver and this knife has a brass liner. 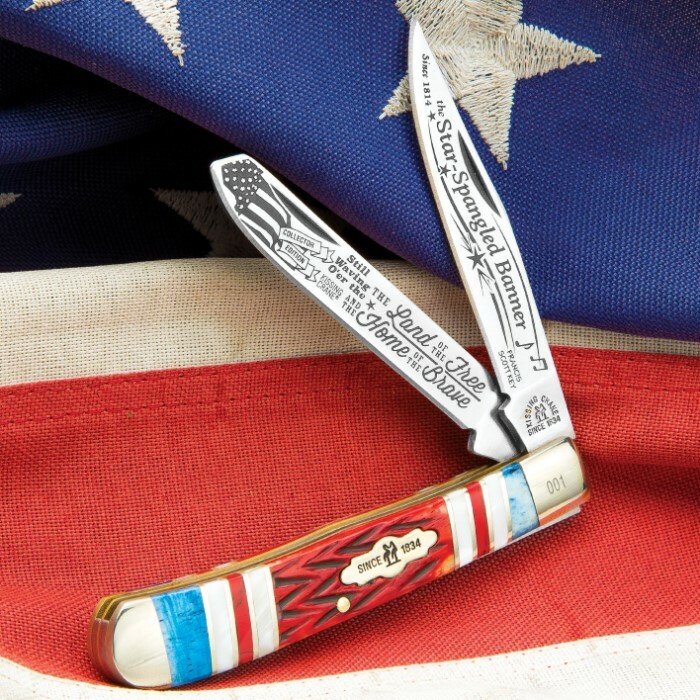 Kissing Crane has forged the world’s best pocket knives for more than 175 years, and the Star Spangled Banner Trapper is no exception. 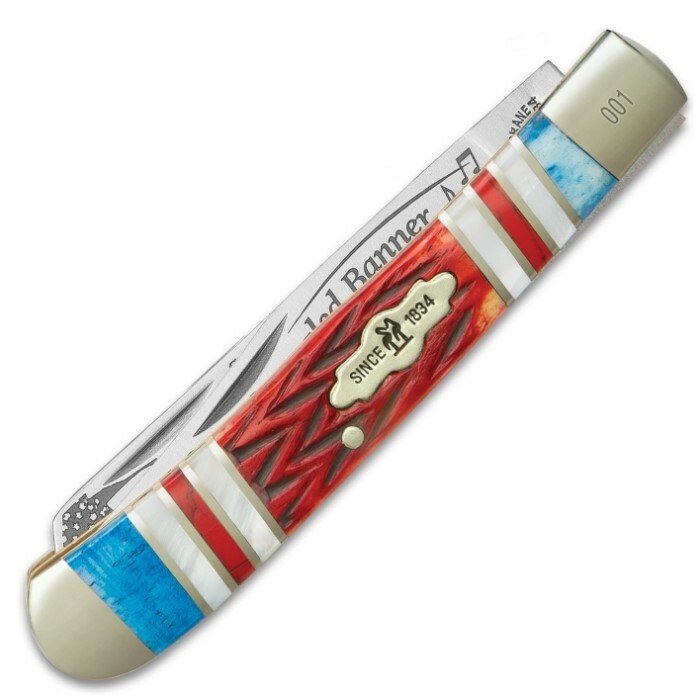 You’re getting only the sharpest pocket knife on the market - both in look and feel!